Bad news travels fast especially in this digital day and age. Guests that are bit by bed bugs are always upset and often threaten filing lawsuits. Our K-9 team can find as few as one bed bug, prevent future outbreaks and certify your location bed bug free with periodic inspections. We can also be as discrete as needed while getting the job done. Bed bug dogs work very fast and can search a room for bed bugs in a fraction of the time it would take a technician to visually inspect the area. These highly trained canines are very hard working and depending on the room a bed bug dog can search 100-200 rooms in one day. 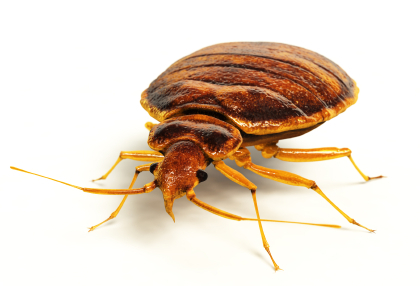 Relying on occupant complaints alone for the presence of bed bugs is a disaster waiting to happen! Proactive inspections greatly reduce the possibility of “negligence claims,” increases the probability of early detection which will in turn reduce treatment costs, and limits the ability of the insect to spread to adjoining units (again lowering treatment costs). Protection plans for your property and your guests should include at minimum quarterly canine bed bug inspections. Why use an AZEX Bed Bug Detection Dog? Contact AZEX to Schedule Your K9 Inspection TODAY!